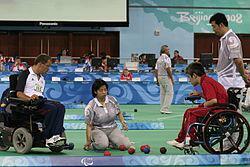 The Boccia Tournament took place in Sandwich on Thursday 30th April. 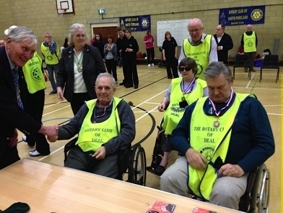 The picture below shows the Deal team in 2012 being congratulated by the then District Governor, Stewart Grainger. It is our turn to organise the tournament so volunteers needed for on the day.